After the first chapter or two, I didn't think that this was going to be a good book. However, as I got a bit further into, I couldn't step away from it. Roger finally came to terms with his family roots and who he really is and so did his family. The family even started acting like a family and came to be close. I have to recommend this book to those that come across it. Really wonderful book! 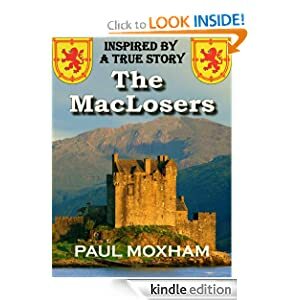 This book is full of history, family heritage and many unique things that bring this family closer together over the period of time that they are in Scotland. Roger, the dad, just so happened to inherit the castle from his great uncle. The family had to get the castle back up and in good shape for them to live there and for it to be up to code. One man stood in the way and almost caused them to lose it all. The butler. That's right, the butler did it!